We hate when our favorite beverage loses its frosty goodness before we can fully enjoy it. That's why we over-engineered the RamblerSeries with kitchen-grade 18/8 stainless steel and double-wall vacuum insulation. Rambler Tumblers keep Ice 2x longer than plastic tumblers and are designed for maximumIce retention-and work just as well for hot beverages. 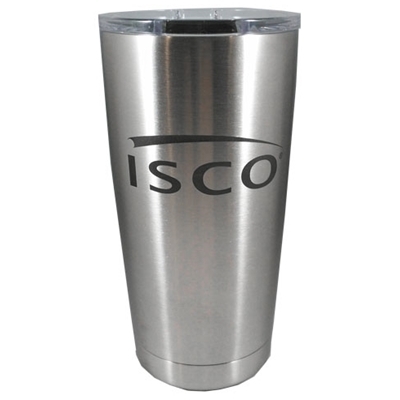 They are BPA free, including the crystal clear lid, so you can gauge the level of your frosty beverage as it slides down the pipe. **Please note that your expense account will be charged $39.95 per Tumbler ordered.